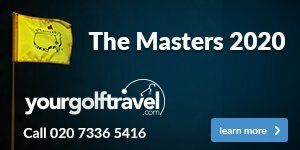 The sun is shining, your golf clubs are dusted off ahead of the new season, and weekly golf is on the horizon. We love spring. Before you take to the course again this month, take a look at the condition of your golf shoes. Is it about time they were replaced? We have plenty of stylish new shoes sitting on the shelves in-store, some with your name on. 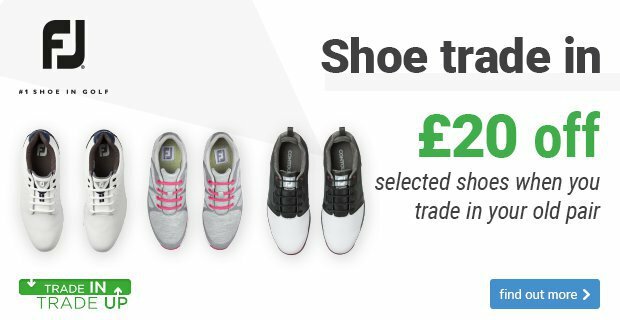 And, because we love this time of year so much, we're offering money off selected golf shoes in-store until the 28th April when you trade-in your old pair (no matter how old they are!). 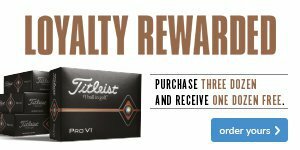 Just bring in an old pair of golf shoes to us next time you're at the club, and we'll point you in the direction to some brand new options that have money off. Offer available from Monday 1st April - Sunday 28th April 2019 or while stocks last. Professional staff reserve the right to end the promotion at any time without prior notice. Offer available on below models only. Offer available on in stock shoes only. Offer cannot be used in conjunction with any other offer.